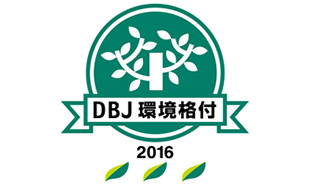 Tokyo, August 5, 2016 – Fuji Heavy Industries Ltd. (FHI), the manufacturer of Subaru automobiles, has received the highest rating that recognizes “notably advanced environmental efforts” under the DBJ Environmentally Rated Loan Program of Development Bank of Japan Inc. (DBJ). This is the first time FHI has been rated in the program. Initiated in 2004, DBJ Environmental Ratings Loan Program is the world’s first financing menu to incorporate environmental ratings. The program scores environmental management of client companies with a screening system developed by DBJ and grants three different interest rates according to the scores attained. DBJ highly evaluated FHI’s advanced environmental management practices, which are based on thorough risk management that includes its suppliers, to comply with strict environmental regulations of each country that apply to vehicle manufacturers. 1. Efforts to foster environmental responsibility throughout the entire value chain by promoting environmental management systems in the parent company and affiliates in Japan and abroad and by encouraging its dealerships throughout Japan to gain environmental management certification. 2. Efforts to reinforce environmental responsibility in supplier management through practices such as maintaining the automotive division’s policy of 100% procurement from ISO-certified suppliers; and ongoing expansion of the scope of such efforts to include social elements, for example by starting supplier surveys concerning human rights and labor practices. 3. Efforts to reduce fuel consumption and exhaust gas emissions, and the use of life cycle assessment to enhance overall environmental performance; and development of safety technologies represented by the EyeSight driver assist system. FHI regards environmental concerns as one of its management issues and is committed to fulfilling its corporate social responsibility (CSR) with a view to creating a sustainable society. Based on our management philosophy of aiming to be “a compelling company with a strong market presence,” we will continue to offer the value of “Enjoyment and Peace of Mind” while helping to improve society and the environment and engaging in CSR activities aimed at creating a sustainable society.